James Joseph is the founder of JackFruit365™- an initiative to create an organized market for Indian Jackfruits in India, 80 percent of which is reported to be wasted every year and to create an engine to support free midday meal program for poor children at school. James has over 20 years of Sales and Marketing experience in North America, Europe and India with Globally reputed organizations like Microsoft, 3M and Ford. 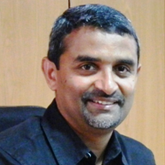 In his last role as the Director, Executive Engagement at Microsoft India; he was responsible for strengthening Microsoft’s relationship with the senior executives of top 200 enterprises in India and he managed this role from his home office in a village in Kerala. Prior to this role James was responsible for the manufacturing industry marketing for Microsoft UK. Before joining Microsoft, he held business development, sales and marketing positions at 3M, Ford Motor Company, i2 Technologies and Informatica. James is a recipient of several awards including Circle of Excellence, the highest award for Sales and Marketing employees across the world at Microsoft, Start-Up Entrepreneur of the Year at TiEcon Kerala 2013, New Age ICON d’ YOUTH Kerala 2011, etc. In addition James serves as a mentor for the Startup Village in Kochi. James is also an author and his first book “God’s Own Office” will be published by Penguin Books in October, 2014. 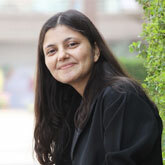 Sairee Chahal, CEO Applied Life Pvt Ltd, Horizon Gazer @Fleximoms and @SHEROES and Convenor, SHEROES Summit - initiatives committed to connecting women with their careers. A believer in work-life redesign, serial entrepreneur, mentor, an occasional writer and mother of a 6-year-old, Sairee is a SHERO, she is a Fleximom. Mr. C K Kumaravel, CEO & Co Founder Naturals started his career after he graduated as a Bachelor of Science in Nutrition and dietetics. He was part of business with various brands like Velvet shampoo, Meera herbal powder, chik shampoo and also launched Raga herbal shampoo. 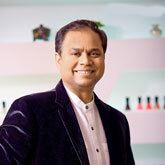 He later decided to support his wife Mrs. Veena Kumaravel to bring her dream come true; that is when Naturals was born. They have built the brand to what Naturals is today with 350+ Stores across the Indian Cities and a few international as well. His Current role as a CEO and Co Founder of Naturals is to preach the Vision & Mission of Naturals in order to provide more direction to the company and the brand as well. He constantly guides and motivates 200+ employees, who he feels are the most precious asset. He personally thinks that by sharing experience and knowledge one can motivate the youth who can bring the much required change. Director, Naturals Beauty Salon India Pvt. Mrs. K. Veena, stepped into a beauty industry, carving internal and external beauty to the lives of those ‘young at heart’ through ‘Naturals’ Chain of Salon and Spa. A commerce graduate, Mrs. K. Veena, took to entrepreneurship and established Naturals in 2000. Since then, Naturals has expanded its presence to various locations in Tamil Nadu, Pondicherry, Kerala, Andhra Pradesh and Karnataka in the South and in other parts of the country including the states of Uttar Pradesh ,Madhya Pradesh, Maharashtra and West Bengal. She is the first woman in South India, pioneering in Unisex Salon format with 375+ outlets. Naturals, now is the India's No. 1 fastest growing unisex salon chain, Started with a humble target of making Rs. 60,000 per month, the pan-India brand is today making more than Rs. 6 crore revenue per month. Learning nuances of the services and the industry from challenges, she has steered the organization to places within a span of 11 years with remarkable confidence and perseverance. Her passion for the business has made Naturals remain ever competitive and emerge successfully amidst stiff competition. Today, Naturals is the only organized salon chain scaling up successfully in franchise mode and adorned with the credit of providing job opportunities for around 3000 people. Over 80% of Naturals Franchise outlets are owned and operated by Women, as she strongly believes that financial independency is the first step to Women Empowerment. 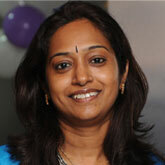 She encourages home makers to be part of the business as Employees or Franchisees. "Women are as capable as or more capable than men and all they need is a framework of mind and little bit of support, which is what we provide" says veena.k on Naturals success philosophy. Naturals aims to create 1000 women entrepreneurs, 3000 salons and 50,000 jobs by 2017.